Other Notes: 65 IBUs. Hops – Amarillo, Cascade, Chinook and Columbus. 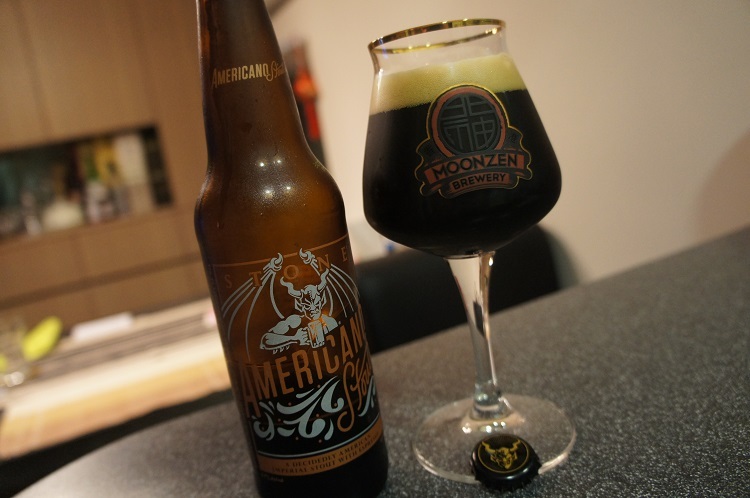 A decidedly American Imperial Stout with espresso. 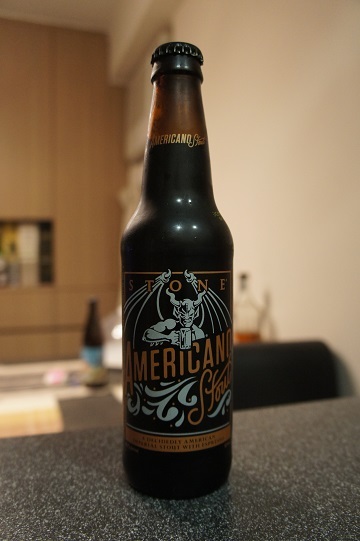 Brewer Description: (from bottle) The coffee notes in Stone Americano Stout are bold, rich and full of American swagger. 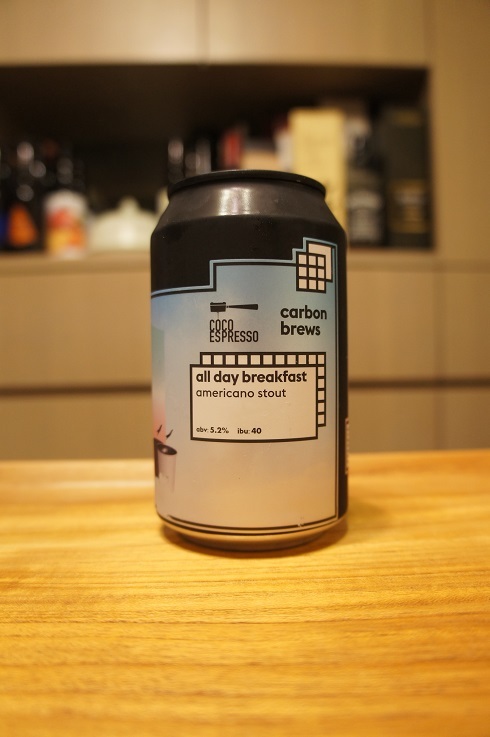 We incorporated a mother lode of artisanal espresso beans into the mash and added in Columbus, Chinook, Amarillo and Cascade hops to invigorate the coffee taste with a slight citrus and resin hop presence. Coffee roasting, like artisanal brewing, has risen to be a true art form in recent decades. Techniques that blend art, science and ingenuity have allowed roasters to create coffees that offer incredible depth, complexity and nuance. When it came to selecting our coffee, we chose San Diego roasters Ryan Bros. Coffee. 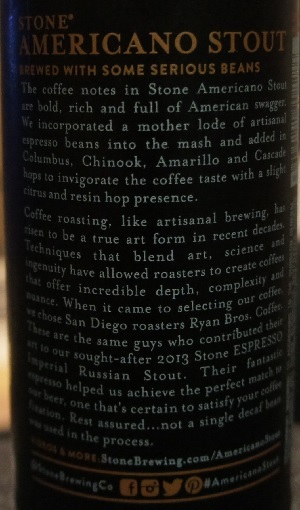 These are the same guys who contributed their art to our sought-after 2013 Stone ESPRESSO Imperial Russian Stout. Their fantastic espresso helped us achieve the perfect match to our beer, one that’s certain to satisfy your coffee fixation. Rest assured… not a single decaf bean was used in the process. Intro: A 12 fl oz bottle with a bottled on 22nd January 2016 date. Poured into a Moonzen teku glass. Appearance: It poured an extremely dark brown with a one finger tanned head that had good retention and left only a little lacing. 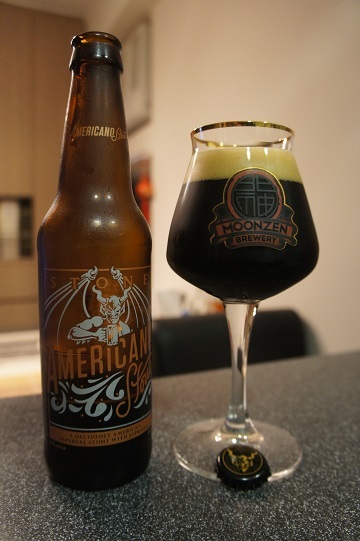 Aroma: Strong espresso aromas and sweet chocolate/mocha with a hint of cinnamon and coconut. Taste: Espresso and dark chocolate. There was a bit of sweetness midway through, but the finish was a nice long lasting bitterness. Mouthfeel: Mid to full bodied with low carbonation. 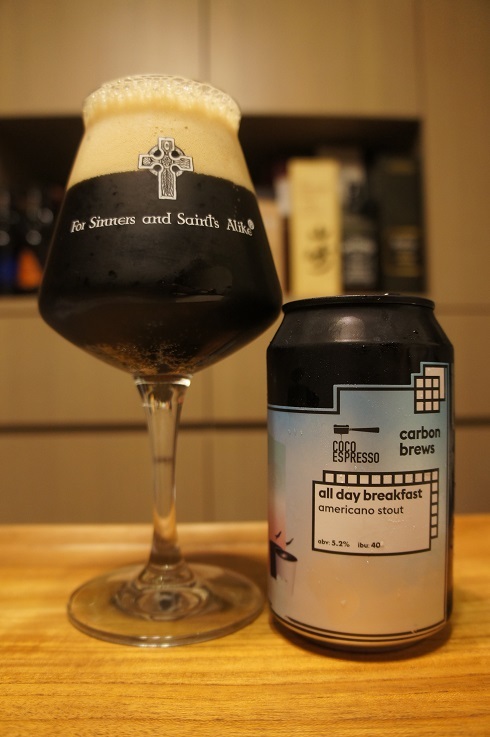 Overall: A nice Imperial Stout with coffee that has a wonderful lasting bitter finish. I think my one gripe is that it was not as full bodied as it could have been.